The European Tour returns after it’s winter break and the first stop is the starting point of the Middle East Swing in Abu Dhabi. Normally we have three great events in a row from the area with form usually tying in nicely across all three. But this year the Qatar Masters has been moved back to March so it’s just the two in a row which doesn’t feel too much like a swing. The first point to note is that it’s a Wednesday start this week so that gives us one less day to prepare. The Abu Dhabi Championship has been a staple on the Tour since 2006 and is always held at the Abu Dhabi Golf Club, giving us plenty form to look at. It is form very much worth looking at too as 3 men account for 7 of the 13 events to date and the same names crop up on the leaderboard year after year. Tommy Fleetwood returns looking for a three-peat having won here in 2017 and 2018. The fairways are wide with plenty of water in play but generally the rough is playable, certainly for the longer hitters and that gives them a bit of an advantage on a course that already measures 7600 yards. Only the truly errant who find the water off the tee are punished and it sets up very much as a 2nd shot course. The layout is also quite exposed which sets up well for an attacking game and unless the wind blows we can expect the winning score to be somewhere around -20. Statistically GIR has always been the best pointer in with the last 4 winners having an average GIR ranking for their win of just 6th. Unexpectedly they all scored highly in driving accuracy too averaging 7th. So while finding the fairway isn’t imperative it clearly helps to be playing from the fairways if you want to get close enough to the flag to make the required number of birdies. The field is as strong as we have seen for some time on the European Tour with the event having been added to the Rolex Series this year. Dustin Johnson is in town as the 7/1 favourite and while he is suited to the event he doesn’t make too much appeal to me. With many of the players returning from their festive break the same can be said about most of the market leaders. With so much guesswork to do I’m far happier going after the juicier each way prices this week and with so many of the Tour’s big names playing their are plenty of those. Big things have been expected from Thomas Detry for some time and having won the World Cup in November with Thomas Pieters I think the confidence gained from that will bring about his first European Tour title in 2019. There is no question that he is at his best on links style layouts as his excellent short game comes to the fore around hard, fast and undulating green complexes. If he can hold his form over I think this looks like the perfect place for Detry to get off the mark. He was 9th here last year on his debut with the highlight being a Saturday 64. The young Belgian has exactly the right combination of strong iron play and a silky touch that prospers in Abu Dhabi. This was evident throughout 2018 as he ranked 27th in GIR, 19th in strokes gained: putting and 28th in scrambling. With him having played so well in that World Cup win alongside Pieters I was a little surprised that he opened as big as 50/1. Hopefully readers took that after I tweeted on Monday but there is still a little bit around although 40/1 is probably still ok. Regular readers will know that I’m a big fan of both Erik Van Rooyen and Ryan Fox and I’m determined not to miss out when they do get their win. I’m in profit on both however as generally the market misses them most of the time. Abu Dhabi Golf Club should very much suit them both. Ryan Fox has played here twice and finished 19th on his debut in 2017 before a 31st last year. Fox’s game is all about hitting greens and he ranked 10th for GIR on Tour last year. That meant that more often than not when playing on a links style course he contended. The relatively wide fairways and lack of trees will help Fox off the tee as he tends to relax when he has an open view in front of him on the tee-box. If his putter behaves I’m hopeful he can improve on his two finishes to date. Erik Van Rooyen makes his debut here this week but that didn’t stop him recording Top 10s at numerous venues last season in his rookie year. In fact it’s a season that the bookies seem to have ignored by pricing him up at 110/1 here. There haven’t been too many more consistent debut seasons in Europe in recent times which saw him finish 22nd in stroke average and 38th on the Race To Dubai. He also ranked 12th in GIR and I think he will take to this ball-strikers course. 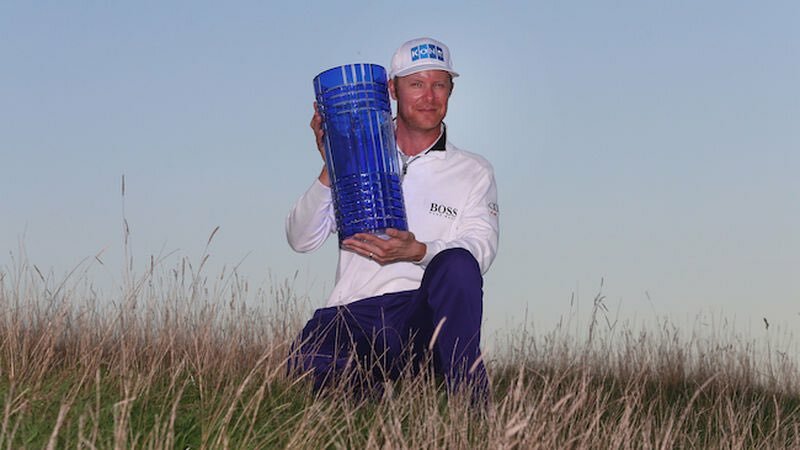 He showed his enjoyment of links golf when he contended for 3 rounds at Carnoustie last summer and with the emphasis here on approaches the South African will surely be relishing a test that also includes grainy greens similar to back home. Looks an excellent each way price. I wasn’t sure whether to back Thomas Pieters as you never really know what you’re going to get with him. But his form figures here are excellent and there is every chance that his World Cup win has had a good effect on him as well as Detry. The 25/1 looks very fair and I’ll throw him in as a bit of a saver from the front of the market.